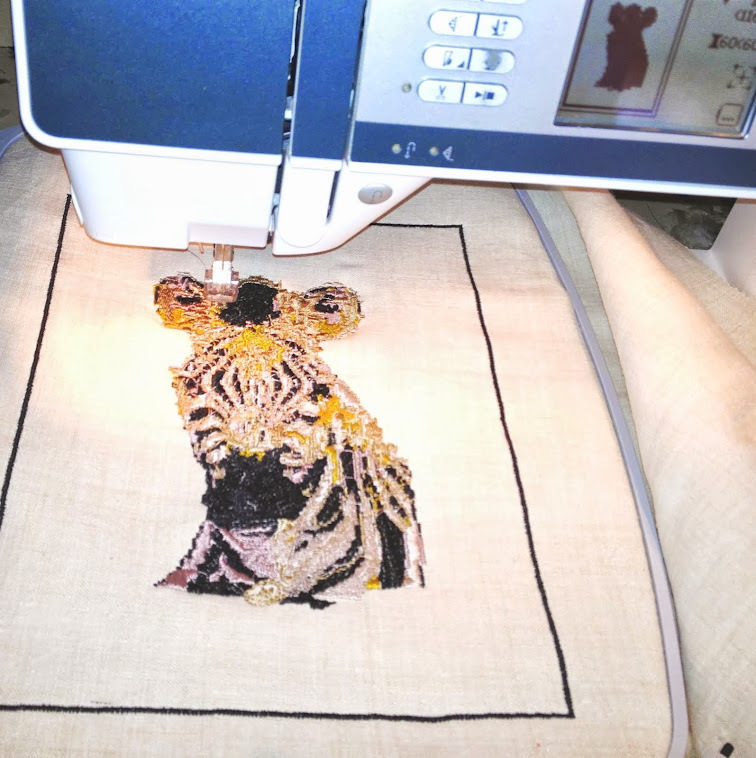 The machine embroidery one to one workshop simplifies machine embroidery processes for you. 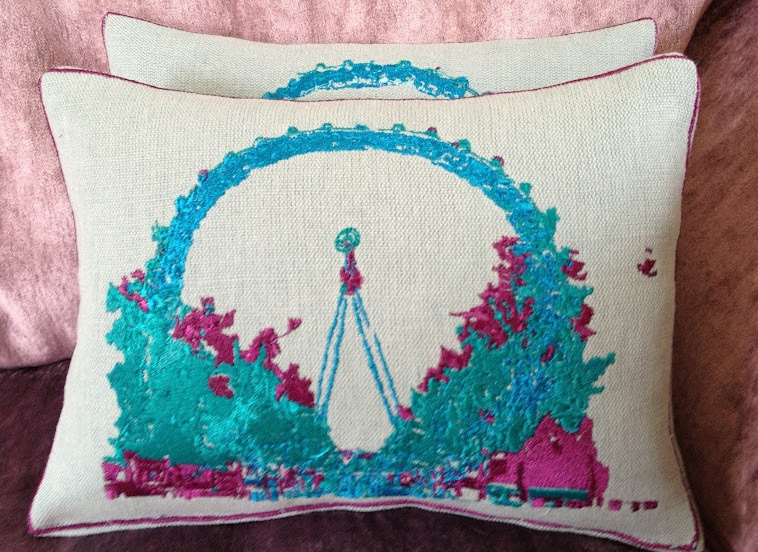 Come and join my cosy, flexible Machine Embroidery 2 hour private Sessions. Make your own unique embroidery piece with guidance on the process and pattern, before transferring the drawing stage and/or pattern stage over to the embroidery machine. Your own choice of fabric which should be of medium weight e.g. 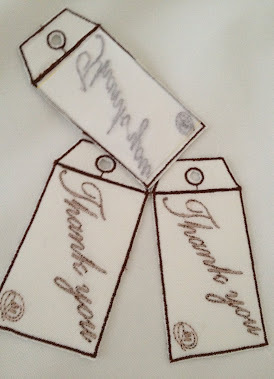 cotton/Linen along with any buttons, ribbon or string for embellishing. The equipment, software, white cotton/linen fabric for any of the front panels, and a choice of embroidery threads will be provided. Free Coffee or Tea provided in session. 1. PERSONALISED/DRAWING CUSHION - 10" x 7.5"
2. LAUNDRY BAG -15" x 10"
3. STRING BAG - 15" X 10"
4. iPAD CASE/MINI - size dependent on size of the iPad! Lisa - 07889036823 - alternative dates and times may be available on request! Place of sessions- Just above the shops in Dorking, Surrey, UK - more details on booking. Examples of what you can make in the Private tuition session!